Since we decided against having an event this winter, the committee decided that we would take the time to reach out to EACH AND EVERY ONE OF YOU. Yes, you will be contacted by one of our committee members or a current player sometime in next 2 months. We realize that this email is only going to reach a small percentage of inboxes. Therefore, the only way to know that you’re all being touched is a direct phone call. To make sure that our Mail Chimp emails are making it through your spam filter. To ask you to make a contribution to the baseball program. NO CONTRIBUTION IS TOO SMALL. The committee spent a lot of time discussing this. We realize that this is a tough time for all of us…especially those of you who have graduated recently. We are not concerned with the amount that you donate…we simply want more people donating. The link to the Lyons-Lademan donation page is below. You do not need to wait for a call. Coach runs his budget on a shoestring and needs our support. Please help. 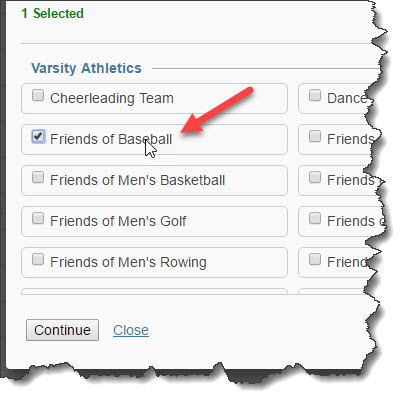 Of course, make sure to specify BASEBALL when you make your donation.